Jailbreaking the iPhone has always been crucial, giving you access to a whole set of features, allowing you to install tons of useful apps which otherwise wouldn’t have been possible, and most importantly, it also allows you to unlock your phone so that you can use it with any carrier. Apple of course patches all these loopholes in every new version of its OS which makes jailbreaking harder. But sooner or later, hackers have always managed to find new exploits which jailbreaks the iPhone on the latest firmware. We can’t say for sure what the new iPhone 4.0 OS would be like, but we’ll know soon as it is set to be unveiled tomorrow at an event, tagged as “Get a sneak peak into the future of iPhone OS”. According to different sources, it does boast pretty neat features like Expose-like multitasking, and more. But at the same time, Apple is planning to raise the security bar, like always, we’re quite sure that Apple will try and patch all the possible known exploits to make jailbreaking the iPhone OS 4.0 a bit tough, not impossible though. Spirit, the new userland untethered jailbreak, which managed to jailbreak iPhone 3.2 on iPad within 24 hours of its launch no doubt is the tool everyone is looking forward to, along with the solution which geohot has already demonstrated. The infamous iPhone Dev Team is also said to have an exploit (given to them by Sherif Hashim) which can unlock the latest 05.12.01 baseband. While no ETA has been given for any of these mentioned tools, there is this talk going on in the community that they will be released once either iPad 3G hits the shelves, or when Apple releases iPhone 3.2 for iPhone and iPod touch. Now if these tools are released with iPad 3G launch later this month, all the exploits will be made public and Apple for sure will patch them up when they release the new iPhone 4.0 with the next generation iPhone. Once that happens, a new exploit will be required to unlock the then latest baseband on OS 4.0. Now question is on whether it is worth making all these exploits public for a minor release like iPhone 3.x, or just wait for the next-gen iPhone with OS 4.0? Whatever decision these hackers take will be in the best interest of the entire community. UPDATE 1: iPhone OS 4 has been announced. Download iPhone OS 4 Beta Developers Preview for iPhone and iPod touch here. UPDATE 2: iPhone OS 4 Jailbreak is Very Much Possible, Says an iPhone Hacker. Read the entire story here. UPDATE 3: Jailbreak iPhone OS 4 Beta Video by iPhone Dev-Team is here! Check it out!. UPDATE 4: Jailbreak iPhone OS 4 with Redsn0w 0.9.5 is here. Step by step instructions can be found here. UPDATE 5: Unlock iPhone OS 4.0 for iPhone 3G with ultrasn0w is possible, provided that you have one of those rare 05.08 Bootloader 3G, whose baseband is downgradable to 04.26.08 from 05.13.03 using Fuzzyband. Step by step guide can be found here. 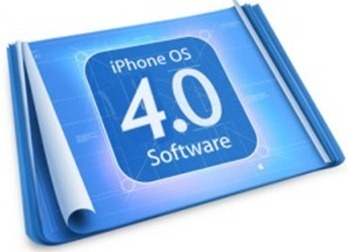 UPDATE 7: Download iPhone OS 4.0 Beta 2 from here. I hope they release it soon. They'll find an exploit in 4.x for sure but who knows if the current exploits really work on the OS 4.x? Nobody knows, they only know they work up to 3.2. So why wait any longer and let the people(including me) sitting in front of their PCs, checking the jailbreak news every day. I recently saw a website (iphoneland) claiming it an JB iPhone 3gs 3.1.3 5.12.01, any thoughts on this website? Is it legit? Personally I hope they just release it with 3.2. Back in February my iPhone crashed so I had to restore it to 3.1.3 and haven't been able to jailbreak/unlock since and it's killing me. Plus I'm going overseas this whole summer and really would prefer to have my iPhone with me and unlocked. Then they can just find a method for 4.0 when it comes out. I really miss the joys of jailbreaking. since these three exploits seem to be different, why don't they coordinate and release one of them at least? Exactly, 3.2 is minor release but holding on to exploits only makes apple “hold” on future updates and giving then the chance to find and patch exploits. The cat and mouse game is supposed to be hack then patch, hack then patch, and so forth… If the scene get to organized Apple might decide to close and lock doors on future products. Man I hope there is a break soon…I had to update because my phone glitched out, and I had no other option. I HATE NOT BEING ABLE TO CUSTOMIZE MY OWN PHONE. they cant break 3gs 3.1.3 new boot. i know they tried a lot but they failed, thats why they seem like they are waiting for the new iphone. As the author mentioned, it will be worth the wait for OS 4.0. That way, Apple will have to release it without knowing what the Dev people know. Once 4.0 is out, we can all move-up, JB/unlock and wait for the next version. For those stuck on 3.1.3 (for whatever reason) I sympathize. But when you do finally JB and unlock, SAVE your SHSH files with Saurick (Cydia) and you won't be stuck again! Then use umbrella and save a copy of your own, too. This early announcement of 4.0 is to force the dev's to keep their JB unreleased. If they wait for 4.0 then we will be waiting a very long time for a new JB. that's just not good for the community. Shure it would be worth it waiting for 4.0 but who knows if the recent exploits really work on 4.0? Nobody knows. They only know that they work on the current FW so waiting till 4.0 would be a little bit risky. Just release it…. There are so many people, thousands, who are stuck on 3.1.3 with the newer baseband. Its not really a game of cat and mouse anymore as it stands because apple is in no rush to release any new firmware especially given that 3.1.3 has no real jailbreak. If they release the jailbreak now, many people can start enjoying Jailbreaks again and once 4.0 does come out there will be no rush to upgrade until another or the same jailbreak is made available. they are going to release the exploit when 4.0 comes out you know why? because they could have released it right when they caught the exploit.if they relase it now all that will do is cause hard work down the drain and more hard work for 4.0. if you locked your phone to 3.1.3 be patient and wait for 4.0 trust me it will be worth it. my phone is locked too, im using a G1 right now and i hate it. All the people that are stuck on 3.1.3 can simply downgrade to 3.1.2 u just need to know the right tools and jailbreak to do it as I did. I down gradded from 3.1.3 back to 3.1.2 because I lost my ability to jailbreak on 3.1.3 and I was successfully able to down grade and rejailbreak on 3.1.2. I'm fine with my jailbroken 3.1.2 using blackra1n. But I wonder what to tell friends who have never jailbroken/unlocked and have already upgraded to 3.1.3. Is there a way to downgrade to 3.1.2 and then use blackra1n for such people? same as please email me on mcnitro@ntlworld.com many thanks..!!! I think your friend must be kidding you. The beta is already out and a new iPhone is expected by the end of June. They wouldn't have the beta iPhone OS 4 out this early if they weren't releasing it until 2011.
but when you go to the 3.1.3 your baseband is updated to 5.12.01 after that you can return to the 3.1.2 os version but your baseband stay in 5.12.01 and it is imposible for now to unlock them!!!!! Seriously, does anyone care about who can jailbreak what on the 3g/3gs right now? I'm more concerned with Unlock right now. Any unlock exploits?